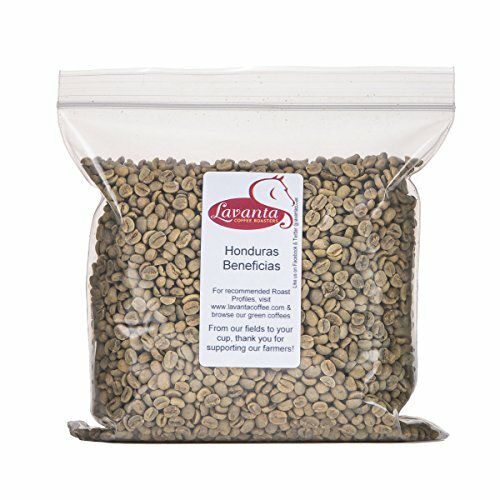 Cup Characteristics: This beautiful Honduras Beneficia Santa Rosa SHG EP Arabica offers a mild Intensity, Honey and nutty tones, lemon brightness, jasmine tea hint, slightly chocolate cup. It has medium-high acidity, beautifully balanced with a medium body. Even though Honduras has had many hardships both politically and with weather phenomena, it is still the second largest coffee producer in Central America. Hurricane Mitch left massive destruction, destroying the infrastructure of Honduras with massive coffee crop loss. The tragedy did however allow the coffee farmers to reinvent their coffee crops, offering higher grade specialty coffees and utilizing organic and fair trade premiums. Because of such a tragedy, the Honduran coffee market now shines amongst the best in the industry. The Strictly High Grown SHG coffee is among the best quality Honduras coffee you can get. Coffee grown at high altitudes are known as being the best because it increases the acidity of the bean, and because of the high altitude, the nights are often cooler which slows down the maturity of the coffee plant allowing the beans to develop to a more mature flavor. To earn the SHG, this coffee was grown at a minimum of 1,500-2,000 meters.